Making your own gifts is not only greener for your wallet, and greener for the earth (without all that pesky packaging), but it also makes for a much more personal gesture. Edible gifts you make yourself usually taste more delicious (really! ), and people truly appreciate the time you spent thinking about them while you made their confections. Speaking of confections… have you ever heard of cake pops? Yup, we’re talking about bite-sized, reduced-guilt cake. As cute as they look, they are also a great gift to give to friends because nothing says a perfect gift like something you make yourself! Plus, they’ll be wowed at how much better these are than the ones you can buy at Starbucks. Julie Sophonpanich is a senior at Brown University where she studies history of art and architecture. She loves to cook, bake, and host dinner parties at her lovely off campus house. Bake the cake according to the box instructions, or use one of SKC’s very own cake recipes! 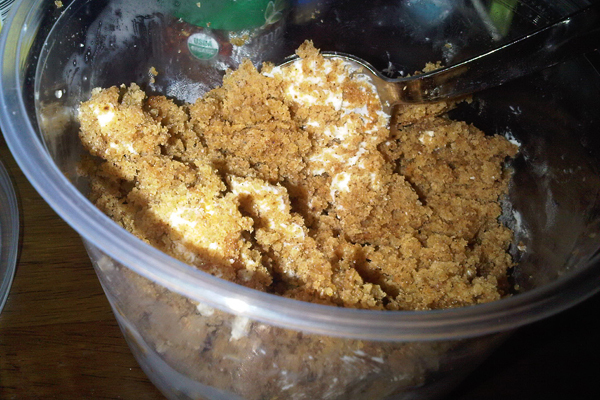 In a large bowl, crumble the cake into small pieces and add in 2/3 of the frosting. Using a spatula, or your hands, combine the frosting and the cake. Test the moisture of the mixture by trying to roll it into a ball. If the ball crumbles then add more frosting to the mixture. Roll out small balls 1-1.5 inches in diameter and place them on a sheet of wax paper. Place them in the fridge for 2 hours. After an hour and a half, prepare the chocolate coating for the cake. Melt two bars of white chocolate on low heat until it is melted and remove from heat. Or melt the white chocolate in a microwave in 20 second intervals, stirring each time, until it is completely melted. Take the cake balls out of the fridge. 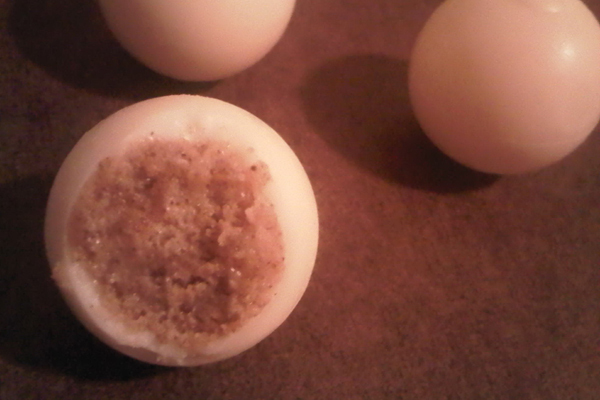 Using two spoons, pick up a cake ball and place it into the melted white chocolate until it is covered. Take the coated cake out and let excess white chocolate drip out. Place it back on to the sheet of wax paper. Repeat for all cake balls. Once the cake balls have all been coated with white chocolate, prepare the dark chocolate in the same way as the white chocolate by melting it on the stove top or in a microwave. Pour the melted dark chocolate into a plastic bag with a distinct corner (or a Ziplock bag). Cut a very small tip off on the bag to use it as a piper. Pipe out designs and decorations for the cake pops. Once the chocolate coatings are dry, the cake pops are ready to be placed in small bags or boxes as beautiful holiday gifts! mmmmmmmmmm. nom nom nom. mmmmmmm. good tasting and good looking – lots of fun making them too.